Manama : A first of its kind plastic recycling factory has opened in Bahrain.Al Majid Recycling Plastic and Metal factory in Salmabad aims to reduce the amount of plastic dumped in Bahrain by 35 per cent, said a report in the Gulf Daily News (GDN), our sister publication. It will process waste from across the country and turn it into plastic granules to be sold to local and international factories, including those in India and Japan. The facility was officially inaugurated by Industry and Commerce Minister Dr Hassan Fakhro in the presence of company chief executive Hameed Al Majid and senior management. “We recycle all kinds of plastic, including those from electronics, telephones, computers, car accessories, bottles, shopping bags and garbage sacks,” said Al Majid. 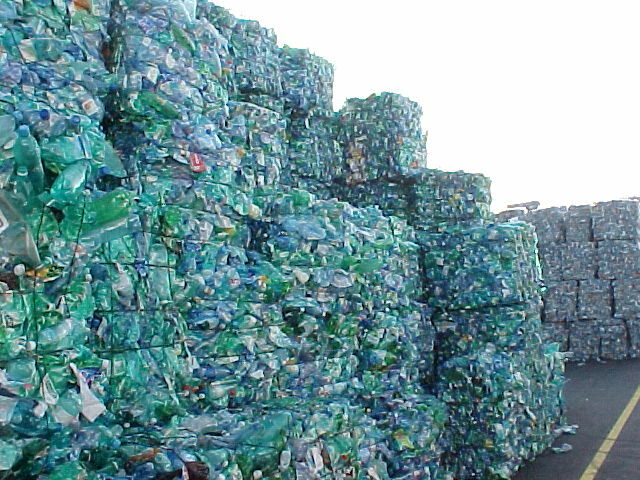 “We collect plastic from industrial and commercial sites to recycle. He told the GDN they have already signed agreements with the Northern, Southern and Capital Municipalities to start work next year. “We will curb and collect all the plastic refuse, and put our own bins in the areas,” he said. “We’ve begun a pilot project with the Northern Municipality in some areas and villages. The factory is currently averaging about six tonnes of plastic a day, which Al Majid said was about 200 tonnes a month. “Our goal is 900 tonnes a month, which the factory has the capacity for,” he said. “If we co-operate with all the municipalities, we will decrease the amount of plastic dumped by 35 per cent. “The Municipalities and Urban Planning Affairs Ministry has just announced that you can no longer dig through the stone at Askar (landfill). He also said they have been approached by the Health Ministry and Supreme Council for Environment (SCE) to process waste from hospitals. “The Health Ministry wants to start recycling pharmaceutical waste,” he said. “It’s a very critical process and there are a lot of international restrictions on how you do it. “Any material recycled cannot then be used for human use. “SCE chairman Dr Adel Al Zayani said that if we agreed to do the recycling, it could go forward. “I have now bought the relevant machine and we are ready to start processing the waste as soon as the ministry begins to hand it over to us. “We’ll be processing about five tonnes of pharmaceutical waste a day. “But we can’t use it to make things like plastic bags, because there is a worry that despite a rigorous cleaning process, there still might be something that slipped through. Al Majid explained that after the waste is collected, it is segregated and shredded at a different location before being brought to the factory for processing. “We double wash, dry and completely clean it of any foreign particulates, and melt it to produce granules,” he said. Meanwhile, Northern Municipality senior follow up co-ordinator Raja Marhoon told the GDN that recycling was paramount to the future of the country. “We’ve found that each person in Bahrain produces about 2.7kg worth of waste every day,” she said. “This is a large amount compared to other Arab countries. In the next three years, we’re facing a lot worse in terms of waste. “Askar will be full and we won’t have anywhere to dump our waste. She said that 33 per cent of the waste thrown out in Bahrain is fit for use, a mindset that must change.